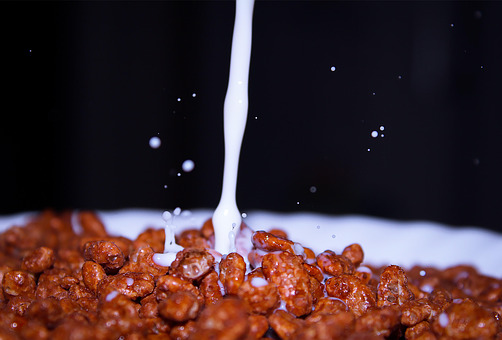 Just about every American kid has eaten or regularly eats clod breakfast cereal with milk. My family is no exception. Over the years we have tried to feed our kids healthy, nutritional food, but sometimes you have to give a little and when grocery shopping, it is hard to avoid a whole aisle. 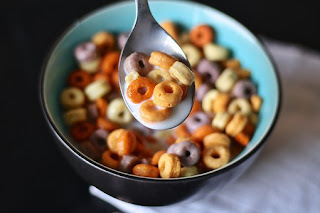 In our efforts to try cut the sugar and make the cold cereals a little less sugary, I started something that may help cut your grocery bills, stretch you cold cereal stores and perhaps make it a little more nutritious. 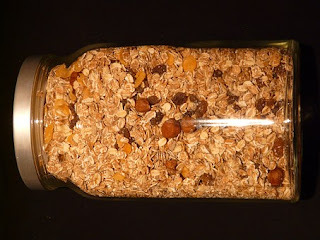 I am a label reader and it usually makes my family nuts when shopping because I read every nutritional label to make sure that the food does not contain certain ingredients we try to avoid like high fructose corn syrup (HFCS), MSG, artificial sweeteners and others. 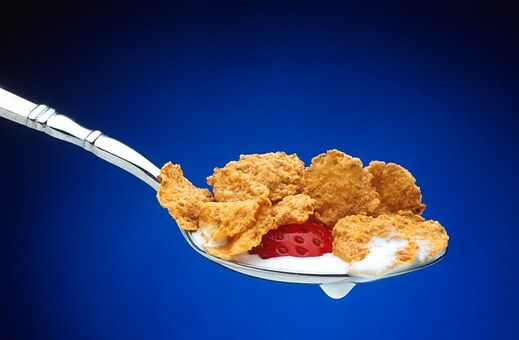 When buying cold cereal, I try to avoid any that have more than 10 grams of sugar per serving. 10 grams equals almost 2 teaspoons. 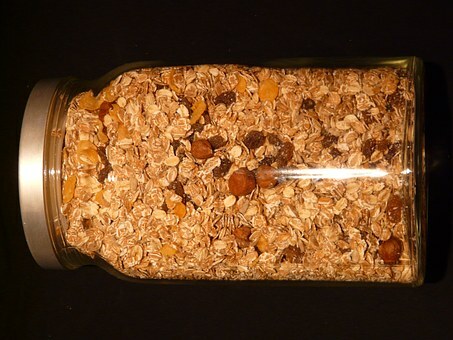 Think of that- 2 teaspoons of sugar just sprinkled over that bowl of cereal and that's if it is just 10 grams. Sugar, although tasty, does not offer any nutritional value, but it does make our caveman brain crave more and then we eat more of it. This goes back to the early hunter-gatherers need to find energy and something sweet was instant energy. This is still hardwired into our bodies and the food companies use that against us to eat more sugary foods. So how do I try to combat this? I stay away from the high sugar cereals to start and ones where the first three ingredients are different forms of sugar. At least the first ingredient should be a grain (wheat, rice, barley) and the sugar should be at or below 10 grams. I do allow some leeway on this and you will see why shortly. I will buy, for example, frosted corn flakes and I will also buy the same size box of plain corn flakes. The sugar content may be 10 grams on the frosted and 2-3 on the plain. When I get them home, I combine the two boxes in a large storage container and shake them up well to combine.Doing the math 10+2= 12, 12 divided by 2= 6. So that bowl of cereal has now been brought down to a more reasonable level of sugar content. Not only does it bring the sugar down, it also brings the per bowl price down since the less sugary cereal is usually lower priced. So you are saving on two counts! I am sure that there are other combinations out there can be made, but these are the ones we usually do and it should give you a good idea where to start. Now be prepared, your kids WILL COMPLAIN, especially if they are used to the full strength versions. Stay strong. You are the parent. Let them know that is how it is going to be from now on and they can eat it or not. 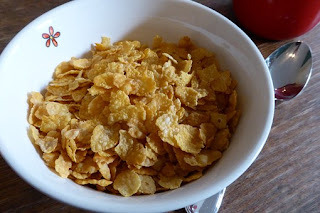 Mine did a bit too, but now it has become the family joke how we deprived them of full sugar cereal, especially for my older kids. I hope that helps and please continue to tune in for new tips for eating well and saving money.